Constant Vigiil has developed a DC UPS for UFB installs. Just what I've been looking for! Computerworld story. Their website here. This page suggests the Snap/Orcon versions output 9V, though their specifications say 12V, which is a bit puzzling. - Does it come with appropriate cables to power a Fritzbox and the ONT? - Why is the Snap version 9V? I've checked the Fritz and the ONT, both use 12V power adapters. NB: for background on the DC UPS idea please read this thread before commenting. Just a note on this - the Chorus ONT requires you to use the power supply provided with the ONT. The Chorus contractors will not connect an ONT to a 12V UPS. If you use an uncertified 12V UPS (I haven’t seen any UPS manufacturers gain certification from our ONT vendor for the ONTs we use), then you run the risk of paying for a new ONT, etc, if it fails due to the UPS. BMarquis: Just a note on this - the Chorus ONT requires you to use the power supply provided with the ONT. That's good to point out and a factor for people to consider. I've considered it and I'm happy to take on the relatively low risk, especially since it's been tested by the manufacturer. I would hope that they have or get authorisation from Chorus to use their device. Not that I can see, no they haven't. "Sentry Lite models tested with standard residential ONT/Router equipment from a number of separate ISPs"
I'll come back when/if I find out more info within Chorus. I'm not sure how you'd even hook it up to an ALU ONT - the Sentry only has 2.5mm DC connectors. Unless they're supplying a cable with the unit to go from that to the ONT connector you've got no way to connect it. Their website says "All cables and replacement power pack are provided within the kit.". They haven't replied to email, and their business number's a cellphone, so maybe it's just one guy. - It's available now, but there's a new version coming out with reverse voltage protection. I emailed them and they confirmed its been extensively tested with the Huawei ONTs that Enable and UFF use. eXDee: I emailed them and they confirmed its been extensively tested with the Huawei ONTs that Enable and UFF use. Haha thats good. 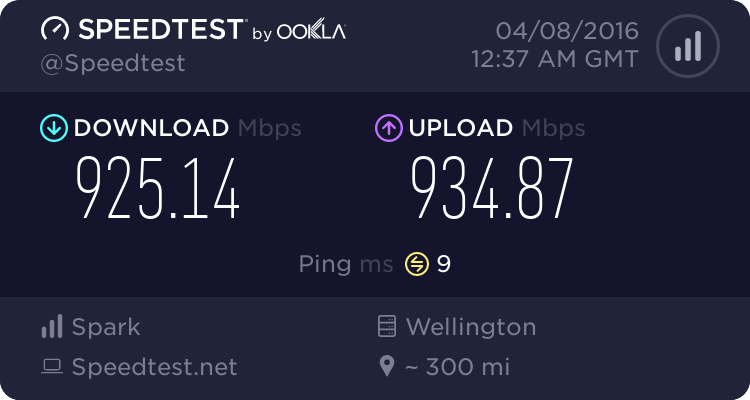 Only 70% of the ONT's to test now seeing as that is how much of the network Chorus are building. How long will the roadside cabinet typically last during a power outage? It wouldn't make much sense to attach a battery to the ONT that lasts much longer than that. Jarno: How long will the roadside cabinet typically last during a power outage? It wouldn't make much sense to attach a battery to the ONT that lasts much longer than that. As I understand it roadside cabinets are passive. The active stuff is back in the exchange, which I guess has generators. There's quite a lot of background in this thread. It's certainly cheaper than the Fuelcube that Spark is promoting so it'll be interesting to see how they compare. I think the concept and product looks great - but to not involve Chorus and have basic errors on the website is really just crazy. The guy was great on the phone, but so far hasn't answered either the contact form I sent early today or the email I sent 4pm. He did say he was working with ISPs, but I don't recall if he mentioned Chorus. He did say working with big telcos was very, very slow. timmmay: The guy was great on the phone, but so far hasn't answered either the contact form I sent early today or the email I sent 4pm. He did say he was working with ISPs, but I don't recall if he mentioned Chorus. He did say working with big telcos was very, very slow. Working with the big telcos will be slow if he doesn't engage with them first.